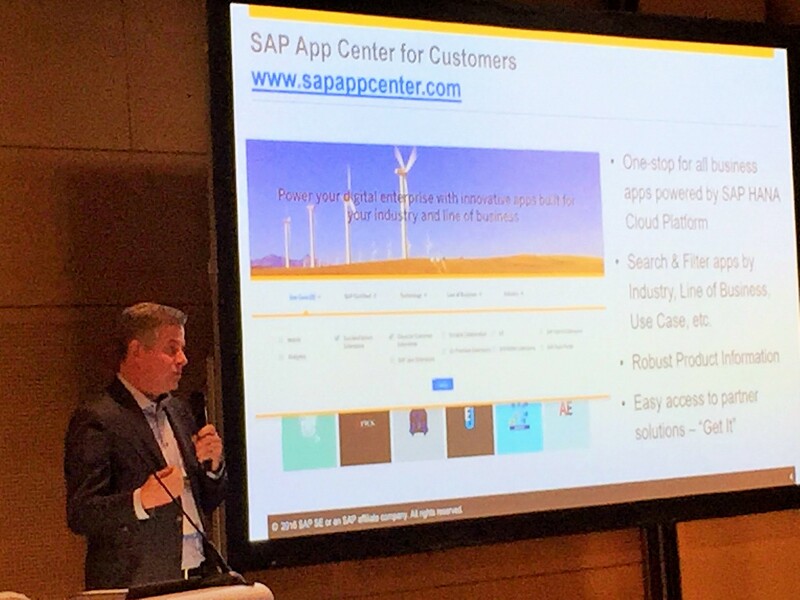 Customers and partners could attend last week one of the best conferences for the HR Line of Business taking place in Vienna and heralded by our colleagues from SAP SuccessFactors. In the past years, the message has been focused on “Standardization and Simplification” of HR SaaS processes. This year was different and evident that “Innovation and Agility” is as important theme and critical in the digital world of work that is transforming management, HR and people practices. And it’s expected that innovations and agile delivery come from the strongest HR Ecosystem and supported by the Platform as a Service – that is the SAP HANA Cloud Platform. That explains why one of the three major announcements at the conference was the new SuccessFactors App Center. So let’s compare progress on the Innovations and Agility front. At last year’s SuccessConnect 2015 event in Rome – there were couple of HCP partners present physically and few HR customers starting HCP projects. Just in one year – we were able to see massive growth of HR Extension and Integration partners showcasing and talking at this year’s event, and lots of customer projects and interest. To put it in numbers, we have grown to 550+ HCP Partners and 4500+ Customers. And big part of those are in the HR domain. Partner briefing event was held with record attendance. President Mike Ettling gave great insights including how major R&D investment is spent on self-service enabling the implementations and system changes through the Admin Centers (Integration, Extension, Release Mgmt). Therefore new innovative services and solutions from the Ecosystem are the way forward to thrive in the new world. The briefing also featured Partners talking about their early journeys on HCP for building HR innovations. Partner NGA HR announced to spin off a separate legal entity – XtendHR – to solely focus on developing extension applications on HCP. Accenture HCM Software announced a new HCP customer reference Avast – a Czech company in the security software space, using the new Document Composer solution. Semos, Ingentis, Gavdi, Allos, AppLearn, Deloitte, Infosys, Ent Jungle, Nakisa, iXerv and many more were all there carrying the HCP flag through their scenarios and solutions. Board member and CHRO Stefan Ries kicked off an HCP customer and partner breakfast on day 2 (photo below). Right after he took the keynote stage and also showcased the HR Digital Boardroom based on BusinessObjects Cloud and HCP. Franck Cohen wrapped up the event with down-to earth interview and compliments for the SuccessFactors teams tremendously growing the European customer base in few years. He’s also a big believer in Machine / Deep Learning and AI that as platform capabilities we expect next year to open up to our Ecosystem and Customers also via HCP. All in all – amazing event that was done with SAPPHIRE-like organization and Vegas-like production. Kudos to our Partners and Customers, SAP SucccessFactors colleagues and our HCP team in making a difference this year.